‘Well, the weather isn’t like last week at all,’ I thought to myself as I sat in the cockpit, heart pounding almost as much as the rain on the canopy. All I could see from the cockpit was very tall marsh grass surrounding me and a brooding sky overhead. How did I get here? Well, it all began the previous week. While it wasn’t a beautiful day, it was a good one for gliding. 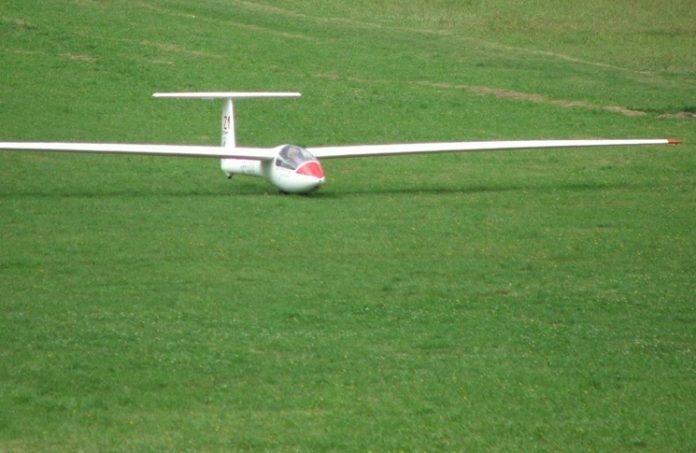 There was plenty of lift to 4500 ft AGL and I flew for 2.5 hours in the club Junior, a fun glider to fly, even if it is at the lower performance end of the single-seater spectrum. By mid-afternoon a few showers had popped up, but it was easy to fly around them and find lift behind them. All in all, a fun day. Fast forward to the following week—the day of ‘the incident’. The weather looked just the same. Plenty of lift around, a defined cloudbase, a few small showers appearing here and there. Off I went in the Junior again, hoping for another good flight. It started well, plenty of strong lift, but only to about 2500 ft AGL today. As I was soaring close to the airfield I noticed that a small shower was drifting east towards the airfield. I decided that, like last weekend, I could fly around it and get into more lift behind it. I headed south from the airfield to skirt the shower. This took me over higher ground, sparse moorland that was around 600–800 ft above the airfield. Ironically, as I flew over it, I was looking down and thinking I would not want to get caught out over here as there was nowhere to land … except a small patch of green in the triangle formed by three hills meeting where a stream of water trickled down. The only other options up here would be a track built to facilitate the installation of wind turbines or a long glide down a valley over a very full reservoir. There was some strong lift around the shower, but it abruptly disappeared as the shower seemed to come to a standstill and then suddenly grow to become a proper rain storm. I continued casting about looking for lift as my escape route back to the airfield began to close off. There I was, in strong sink, over unlandable terrain, in a low-performance glider, with the rain now blocking my way back to the airfield. I was probably only around 6–8 km from the airfield, but it soon became apparent that I may not make it back. The panic was starting to rise almost as fast as the ground, until I decided that I was not going to make the airfield and to discount that as an option. Once I’d done that my mind cleared and focused on the task of getting myself and glider down safely. The only real option left to me was the triangle of green I had flown over earlier. I headed straight to it and flew around it to have a look. It was sloped and looked boggy, but green and welcoming compared to the rocky moorland surrounding it. Conveniently it also had a narrow track at its base. After a couple of circuits, I chose to land right in the middle, heading uphill. From somewhere my mind remembered that when landing uphill you need to have a really positive round out to match the slope and avoid arriving heavily. I turned finals in heavy rain and approached at 55 knots. As I rounded out I held off as much as I could in the long marsh grass and tried to keep the wings level to avoid a ground loop. As the glider entered the grass it slowed, then sank into it and stopped quickly. That’s when I got the shakes. I sat in the cockpit for about 10 minutes while it poured with rain, taking stock. I was fine. The glider appeared fine. I’d survived my first outlanding. I was a long way from civilisation and my phone had no reception. I hadn’t even had time to radio the club before landing as I was too busy flying. So nobody knew where I was. But I could walk. I climbed out when the rain stopped and started walking. I followed the narrow track at the bottom of the hill for 5 km until it met a road, then walked another 5 km along a lonely road until a farmer gave me a lift to the nearest village. From there a phone call to the club started what became a legendary retrieve involving 10 people, one flat tyre and one burned out clutch. Interestingly, during the retrieve, quite a few members of the club were inspecting my landing ‘field’ They were quite impressed with my feat but did point out all these boulders that were hidden in the grass on either side of my landing run. In choosing to land right down the middle I had avoided them all. Firstly, I was overconfident and eager to get flying. I could see the conditions were decent and I was hoping to get another flight like the one I had the previous week. The conditions looked the same, so I thought I would be fine. I had been gliding for around 10 years at that stage, so I considered myself relatively experienced. Secondly, I didn’t take too much notice of the weather and the changing conditions. In reality the weather was not like the previous week. The cloudbase was lower, the showers bigger and heavier, and the lift more erratic and difficult to find. Lastly, I failed to recognise the developing situation. As the shower ground to a halt and grew bigger and the lift dropped off I should have realised that things were changing. Rather than assuming that there must be lift somewhere I should have cut my losses and returned towards the airfield. I was lucky this time and I learnt a lot from this experience. Keep an eye on the conditions at all times and remember they are rarely the same as a previous day. Don’t worry about staying in the air at all costs and keep your options open. Don’t fear an outlanding when it is unplanned (i.e. when not on a cross-country flight). Be prepared and wear appropriate clothing and shoes just in case (thankfully I had proper walking shoes on). What impressed me was the way I handled the situation as soon as I had made the decision that I was unable to get back to the airfield. All the worry disappeared and I was able to concentrate on flying the glider and landing safely. 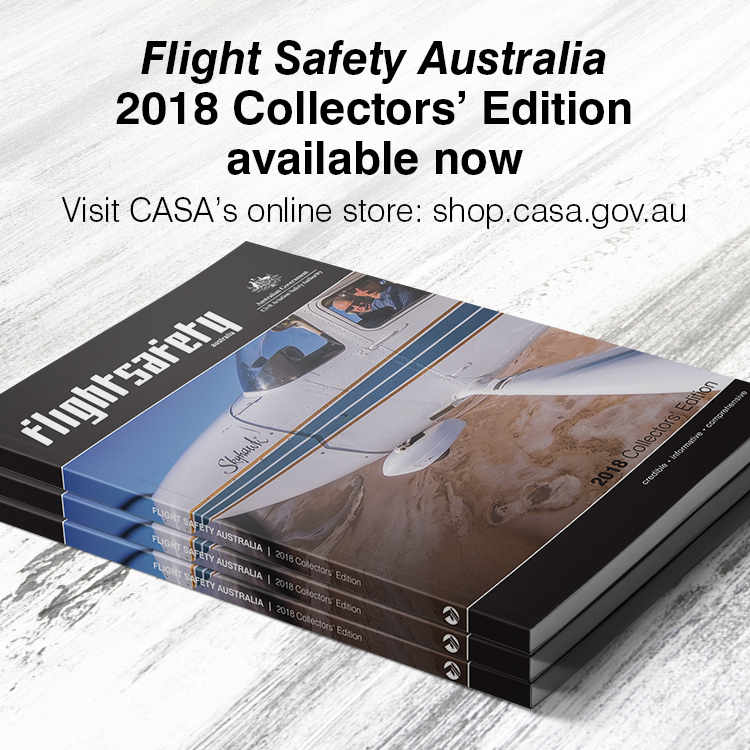 It is amazing how all the little tips you may not even be aware that you have picked up from instructors, fellow pilots and books make an appearance just as you need them.